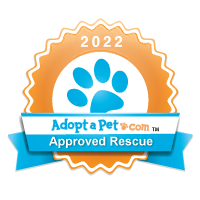 Foster dogs, cats, puppies or kittens in your home until permanent homes can be found. Please complete and submit the following Foster Application - once we receive your application a Frisco Humane volunteer will contact you as soon as possible. Thank you for caring about homeless dogs and cats - and offering to open your door and hearts to homeless dogs and cats. Your Animal #1: Name - Dog/Cat/Other - Breed - Age - Gender - Spay/Neutered - Kept where? Your Animal #2: Name - Dog/Cat/Other - Breed - Age - Gender - Spay/Neutered - Kept where? Your Animal #3: Name - Dog/Cat/Other - Breed - Age - Gender - Spay/Neutered - Kept where? Your Animal #4: Name - Dog/Cat/Other - Breed - Age - Gender - Spay/Neutered - Kept where?